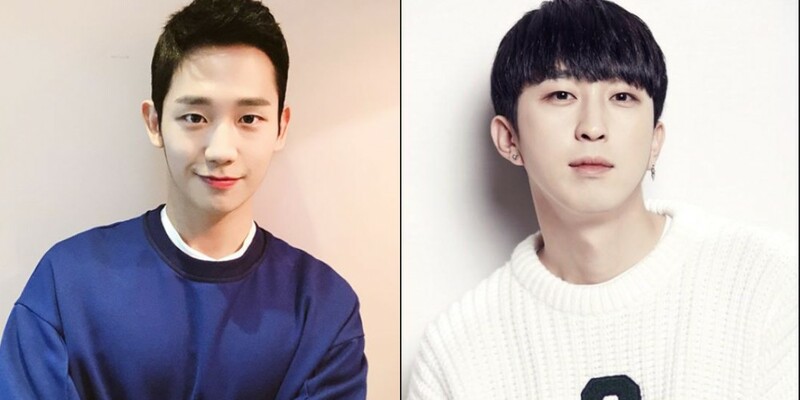 Sleepy apologized for calling himself Jung Hae In's look-alike. On the June 19 airing of SBS Power FM's 'Cultwo Show', Park Joon Hyung�joined as the special DJ while Sleepy appeared as the guest. One listener sent in a question for Sleepy, asking,�"I heard you are a downgraded version of�Park Seo Joon�and Jung Hae In. Who's who? "�Hearing this, DJ�Kim Tae Gyun�commented,�"I heard your hair is Jung Hae In style." Sleepy explained,�"DinDin�said himself that he looks like Park Seo Joon. I posted a photo after doing Jung Hae In's hairstyle and immediately lost 400 followers. I lost over 1,000 followers after posting a�photo with Din Din." He continued,�"I officially apologize. Followers, please come back." #??? ? #??? #??? ??? ?